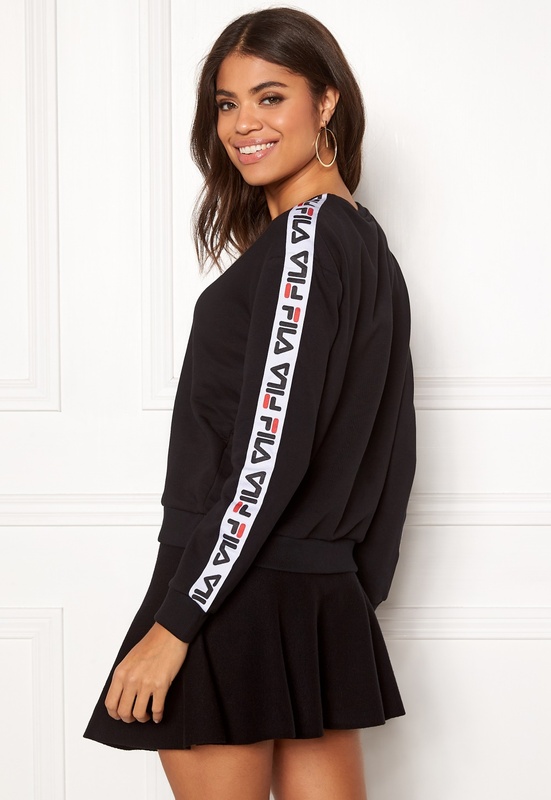 Elegant top with a trendy design from FILA. The top has the brand logo on the sleeves. - Soft, stretch quality - Round neckline - Rib-knit cuffs at wrists and bottom hem - Logo on sleeves, shoulders and chest Back length from shoulder 58 cm, bust 100 cm, sleeve length from shoulder seam 57 cm, in size S. The model is 176 cm tall and wears a size S. Machine wash at 40 degrees (delicate wash).